Episode #75 – Turn Wasted Time into Invested Time with Audio Books – Big Fish Ideas - Small Business Club. Success By Sharing Stories That Worked Next Door. Here are two things I’ll never understand. 1) Getting excited over “snow days” (school closings) and 2) answering the question, “What did you do this weekend?” with “nothing”. Education is the only thing where you say, “I’m so excited we got the day off” or “woo hoo school is letting out 2 hours early” – could you imagine paying for a massage and having it stop 5 minutes early? “that’s awesome! Wow, glad we got done early” or how about you pay for a concert and they “let out 30 minutes early” – “Super Great, didn’t want to hear the encore” — yet, we pay for education for a full course or full day and we’re excited when we get ripped off and don’t receive the full service. It makes no sense. The second thing about answering “nothing” on the past weekend’s activities… How boring! I’m pretty sure when on your death bed you’ll be wishing for that weekend back. If you already log your time and activities during the day, take a look and see where you have bottle necks or chunks that you call “down time” – OK, now you’re going to say, “I’m so busy, I have zero downtime”. Believe me, if you have time to check Instagram or Facebook, you have downtime. When you identify the areas, what can you do instead? Here’s an idea, audio books. You take that 5 minutes and just listen, find a great business or motivation book. 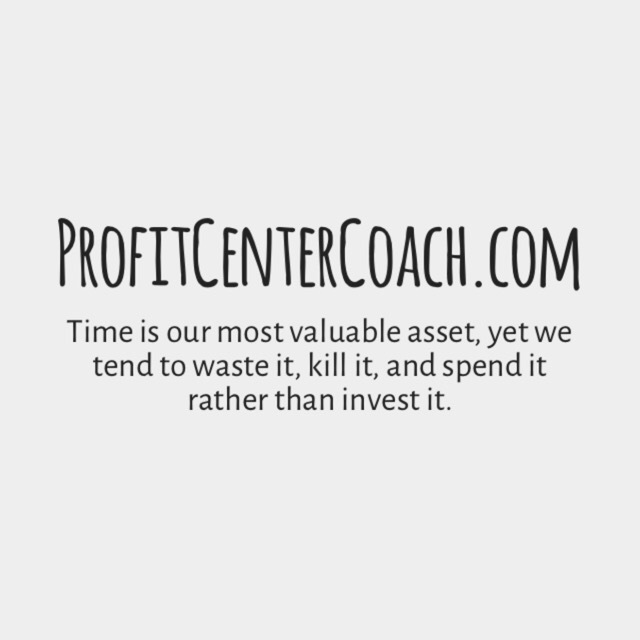 Your time wasting activity now becomes a time investment activity. While growing up it was “taught” to take a 30 to 45 minute chunk of time and read. Well, I hate reading and never did this. Thus the reason I used “Tales of a Fourth Grade Nothing” as a book report every year until my Junior Year in High School when my English Teacher refused to accept it (smart lady) haha. About a year ago I discovered audio books, and guess what, I threw out the 45 minute rule. There’s no rule that you must listen or read a book for a large chunk of time, you can do it in 5 minute “breaks”. It is such a better use of time! Here are some of the audio books I’ve listened to… maybe you’ll find something of interest! Here’s another reason to jump into the habit of audio books, you can listen while you walk, bike, take a bus or even listen in your car (my favorite). This is about turning “wasted time” into “invested time”. And guess what… invested time is a perfect way to build your knowledge bank for being a Subject Matter Expert. It helps in both research and study, you can listen to something enjoy and continue your “knowledge bank” for your Subject Matter Expert Status. PS: “Like” my post if it inspired you! 1- Identify the wasted time in your life… look at your calendar for past ideas or start jotting down your time today and tomorrow and see where you have an extra 5 minutes to do something other than read Facebook.